Each year The Leukemia and Lymphoma Society (LLS) hosts its Student of The Year campaign, a philanthropic leadership development program in which high school students raise funds to help support those in their communities battling blood cancers. 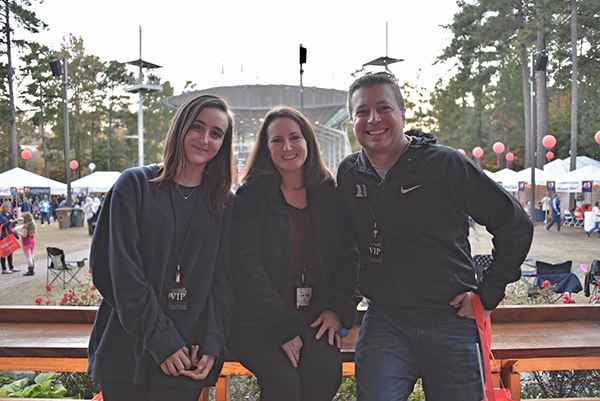 Quinn Tobin, the youngest daughter of Jim and Kathy Tobin, chief administrator for Duke Neurosurgery, was recently nominated to participate in the 2019 Student of The Year campaign. Quinn is a longtime volunteer. Over the past five years, she has donated time and talent to the Duke Division of Hematologic Malignancies and Cellular Therapy where she has volunteered at the annual patient reunion and the Duke Multiple Myeloma Bike Ride. Quinn has also spent a great deal of time volunteering on the inpatient oncology units, even giving out desserts to patients unable to spend Thanksgiving at home with their families. Quinn’s mother and father are proud of their daughter’s focus on others. Determined to make her goal, Quinn’s fundraising begins on Saturday, Jan. 26, and ends on Saturday, March 16. This year’s nominees are fundraising in honor of two young blood cancer survivors who LLS has named their Local Honored Heroes. A grand finale will be held after March 16 to bring together nominees, campaign teams, sponsors and friends and families. The 2019 Student of The Year will be announced at this finale event. Quinn hopes to raise $50,000. Strategies for raising funds include letter writing, email and social media campaigning. “I’ve assembled a group of friends and family members located across the United States who have varied social networks to which we can reach out,” said Quinn. “We are trying to get funds from each of the 50 states and from as many foreign countries as possible. I am fortunate in that I have an amazing group of family and friends. They are all very supportive of LLS’s mission to find a cure for blood cancers. For more information on the 2019 Student of the Year campaign, please visit lls.org. To donate to Quinn Tobin, nominee for Student of the Year, please go to http://bit.ly/LLS-Quinn.